This map is under revision, and the text and data are preliminary. It is based on 2589 long-term radon measurements in home living spaces in 469 zip code areas from across Minnesota. The survey participants were randomly selected and enrolled via telephone. Bayesian and traditional statistics have been used to estimate distribution statistics. 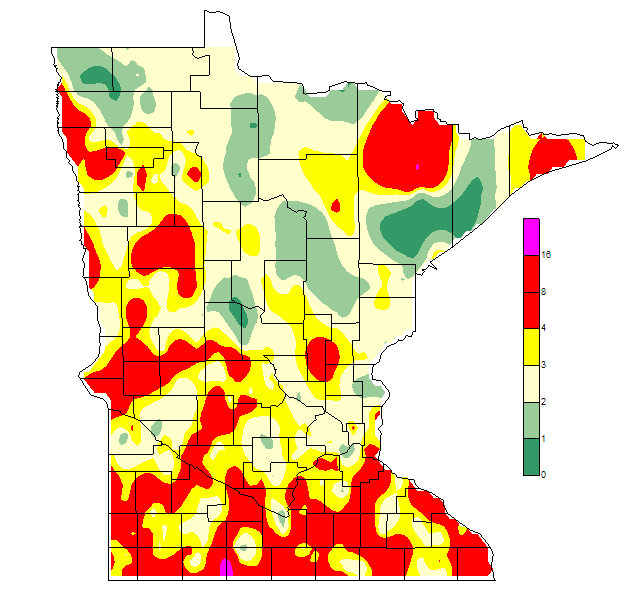 This map was provided by Dr. Dan Steck and his students from “The Minnesota Radon Project.” They are located in the Physics Department at St. John’s University in Collegeville, Minnesota.